ROAD TOWN, Tortola, VI – Following the recent flood, retailers have been selling items that were damaged as a result of the impact of the flood. However, the Department of Environmental Health Division announced yesterday August 16, 2017 that they will be conducting spot checks on supermarkets and restaurants to ensure food safety. 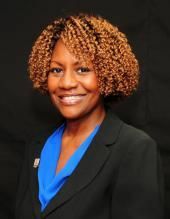 Mrs Yolanda Penn, Acting Chief Environmental Health Officer, stated that while some stores may not have been flooded, items may have been damaged while in storage, warehouses or storage containers. As a result, her team has been deployed and any damaged items found on shelves will be pulled and condemned. “If contaminated items are found, a condemnation certificate will be given which will contain information about how much items were disposed and why it was pulled from the shelves,” said Mrs Penn. She further stated that following inspections of supermarkets, her team will then visit restaurants, especially those located in low lying areas. The Acting Chief urged consumers to note product packaging and avoid purchasing items that appear to be water logged, have any evidence of contamination, or frozen items that appear to have thawed and refrozen evidenced by ice crystals. “We just want to ensure the quality and safety of food during this time and we want consumers to pay special attention as food quality and safety may be comprised,” Mrs Penn added. In an interview with a consumer, who wished to remain anonymous, she stated that she does not think it’s a good idea for supermarkets to be selling items that were damaged in the flood. “I see supermarkets selling items on reduced price and I know they are things that were damaged in the flood. That is wrong and people should not buy them because they can make you sick,” said the concerned customer. Another consumer, who also wished not to be named, commented that when she is shopping she is very mindful of the products she purchase because she is afraid of buying contaminated food items. 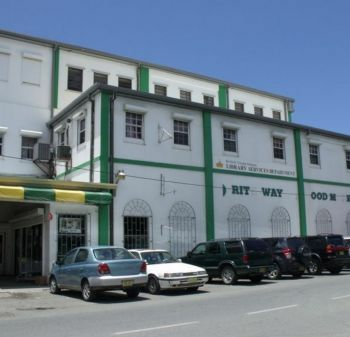 A Supervisor at Rite Way Food Markets on Flemming Street in Road Town told this news site that once food items are damaged they are scanned and counted and then they are dumped. Following that procedure, Road Town Wholesale would claim for the damaged items. Other supermarkets were either not reached or declined to make any comment. Persons may contact the Environmental Health Division at 468-5110 to report concerns or have their questions addressed. I just hope that you are wrong!! What about the human remains that has been wash out the cemetery and in the streets of Road Town.? ?